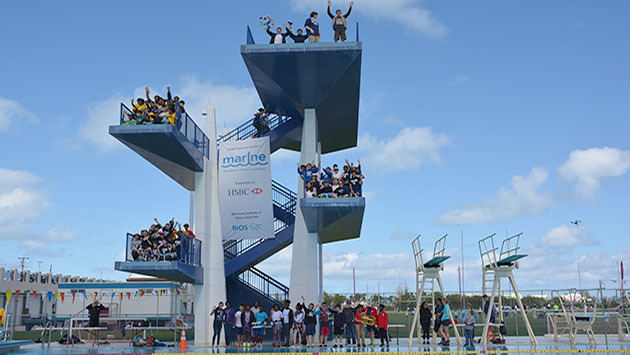 A total of 28 teams participated in the event that took place at the National Sports Centre swimming pool with the Clearwater Middle School team coming out on top. The middle school pupils were tasked with putting their designs through a series of manoeuvrability and speed challenges. 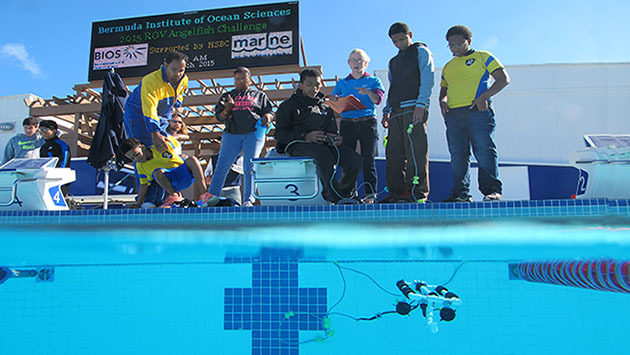 The competition was the culminating event of the Bermuda Institute of Ocean Science’s (BIOS) Mid Atlantic Robotics in Education (MARINE) Programme. The new education initiative, which is the current topic of the HSBC Explorer Programme, is aimed at introducing students to the science and technology behind Remotely Operated Vehicles (ROVs), which are used by researchers and marine industries to survey underwater environments.